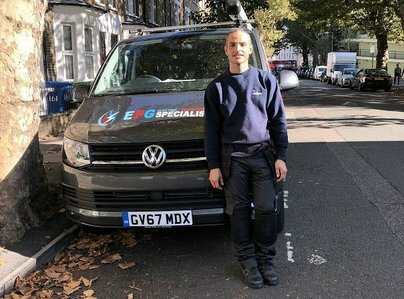 My name is Darren Elaouad and I am the director and owner of a small independently-owned firm known as EPG Specialists Ltd.
Electrical - full or partial-house rewires, replacement consumer units, any certificate you may require, including Electrical Installation Condition reports, insurance requests, reports for a new property purchase and any small electrical work you may require. Boilers – I carry out new boiler replacements, boiler repair, boiler service, landlord’s gas safety certificates plus the service or replacement of any other gas appliance, i.e. cookers or fires. I am also a Vaillant approved contractor. All testing equipment is fully calibrated and tested in accordance with current regulations. I carry public liability insurance to the sum of £2m. Darren was very efficient when he installed a new boiler for me last year, so I called him when it came round to service time, and also asked him to instal a complete set of new thermostatic valves on all my radiators. Very quick response, same great service as last time, and a good price - what's not to like?! Darren came to service our boiler which we hadn’t touched for many years. He did everything necessary, was happy to explain everything, provided us with print outs of readings and was a nice person to have around. Arrived on time and left no mess. Thank you Darren. Darren fitted two radiators for us, neither of which were straightforward as one was an awkward size/shape and had to be fitted low to the floor and the other required new pipework to be installed through an existing wall. Darren did a very nice job, he was efficient and pleasant and cleaned up thoroughly. Would definitely recommend! We discovered Darren through Which? 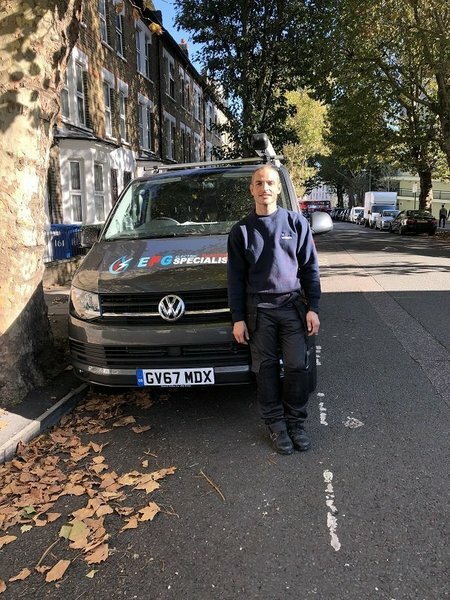 Local several years ago when our previous go-to central heating engineer became unreliable in various ways – turned out that was the best thing that could have happened to us! Darren is meticulous, extremely knowledgeable, very personable, and responsive, making him a pleasure to deal with. He also goes the extra mile or two to help – e.g., we had a very old curved radiator in our bay window that had rusted and was leaking; our previous heating guy said it was now impossible to buy curved radiators and that we’d need to install three straight ones in its place. Luckily we left it, as once we’d found Darren, he sourced a company (not nearby either) that would curve a radiator to our template; he then took care of ordering and collecting it. His prices are fair and his boiler services far more thorough than any others we’ve had – we wouldn’t think of using anyone else. We discovered Darren through Which? Local several years ago when our previous go-to central heating engineer became unreliable in various ways - turned out that was the best thing that could have happened to us. Darren is meticulous, extremely knowledgeable, very personable, and responsive, making him a pleasure to deal with. He also goes the extra mile or two to help - e.g. we had a very old curved radiator in our bay window that had rusted and was leaking. Our previous heating guy said it was now impossible to buy curved radiators and that we'd need to install three straight ones in its place. Luckily we left it, as once we'd found Darren he sourced a company (not nearby either) that would curve a radiator to our template; he then took care of ordering and collecting it. His prices are fair, and his boiler services far more thorough than any others we've had. We wouldn't think of using anyone else. Darren has done maintenance work on my gas boiler and unvented Cylinder. I only wish I had had him install them originally. He is wholly reliable, knowledgeable, thorough and does what he says he will when he says he will. He doesn’t cut corners, nor does he overcharge for parts. His services are fairly priced and good value. Darren has shown absolute attention to detail and professionalism. He has installed a Pressurised System in my house with the minimum of inconvenience. He is very reliable, kept me informed at all stages of the job and is extremely punctual. I would highly recommend Darren. you can be confident that the work carried out is excellent. I have been relying on Darren from EPG Specialists for more than 5 years and I have always been satisfied with the quality of his services. He's quick to answer any of our phone or email message, he's reliable and very professional. He's keen to explain what we need to know in order to take properly care of the boiler he installed and to make the best of it. Second new boiler, great success! Darren has installed two boilers for me and made the process easy to understand and kept to a high standard throughout. Would definitely call for future work.